I shot this photograph in Kolkata on June 3rd, 2010 in the premises of the kali temple on the banks of the great river Ganges at around 8 in the morning. The old woman was so engrossed in her work that she did not even look up when I took the photograph or when people walked past her. I feel so sad whenever I look at this pic...Even after 63 years after independence why is this state of helplessness??? I am not saying that I am going to donate lakhs of rupees or going to start a NGO but start by doing whatever I can within my reach. Small changes lead to bigger ones. We all are part of this society. Happy new year to u & ur family!!! In times of celebration we do tend to forget that more than half the population is living amidst poverty...We all can do something in a small way to make small changes..Everyone does their bit & this could make a whole lot of a difference..As basic as sponsoring a child`s education can make him/her earn a decent living & support the family..Thank u Reva for posting this article..Im making this my new year resolution..Will pass on the message.. I cant agree more with you...The incredible India tag is not earned by our govt but we have earned this just because we are blessed with such natural beauty and our culture...but if we look at the current state, its shocking. some has so much that they dont choose where to spend their vacations and some are so poor cant even have two proper meals a day. this inequality is painful. 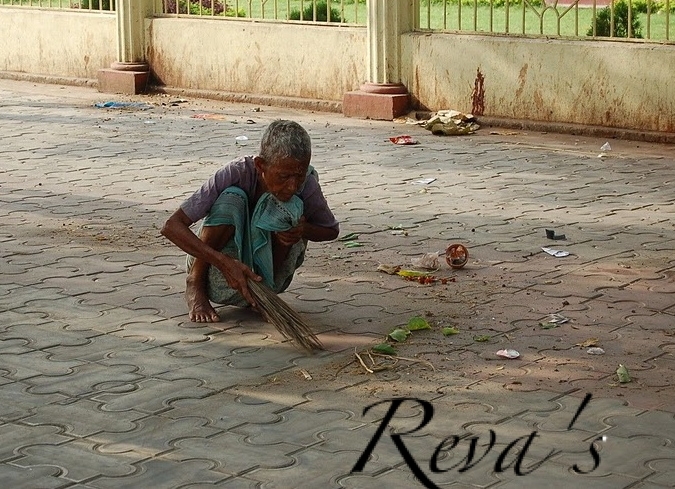 yet still here is wishing you a Happy new year Reva. thanks for sharing,good thoughts,happy and prosperous new year to everyone. WIshing u a happy and prosperous new year..beautiful click:..
lovely post...agree with Sayantani...! happy new year...hey why don't u add me on FB..Jagruti Dhanecha..!